 White flexible magnet with clear, protective laminate. Note: Not recommended for outdoor usage or as a write-on product. 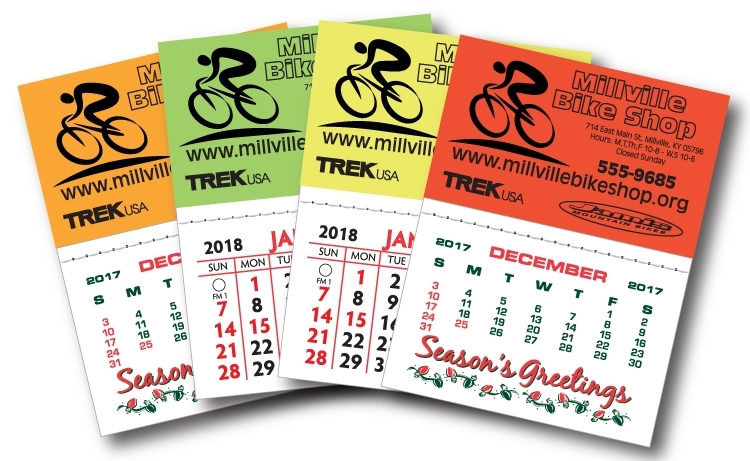 The Perfect Holiday Promotional Gift! 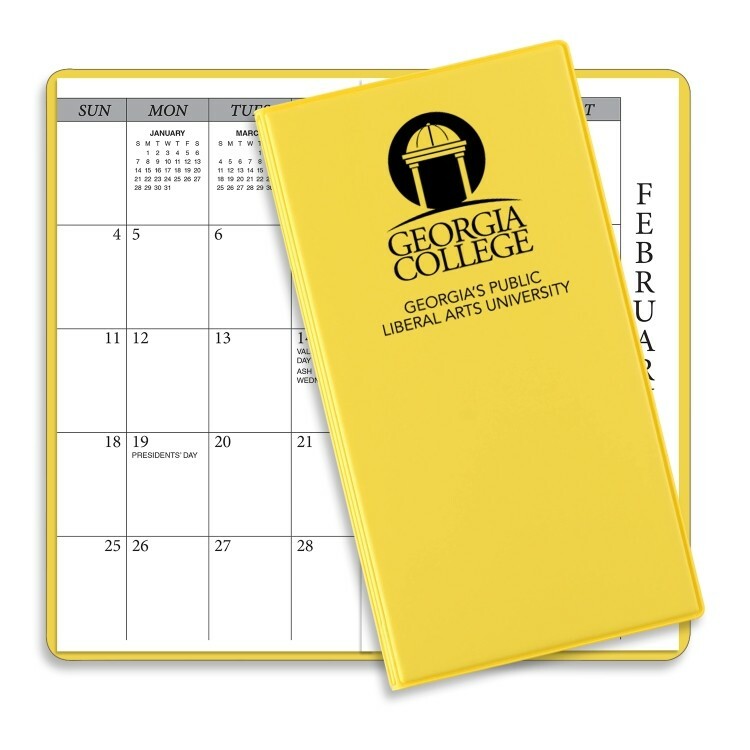 Plan to take the sales advantage when you order these Monthly Pocket Planners! 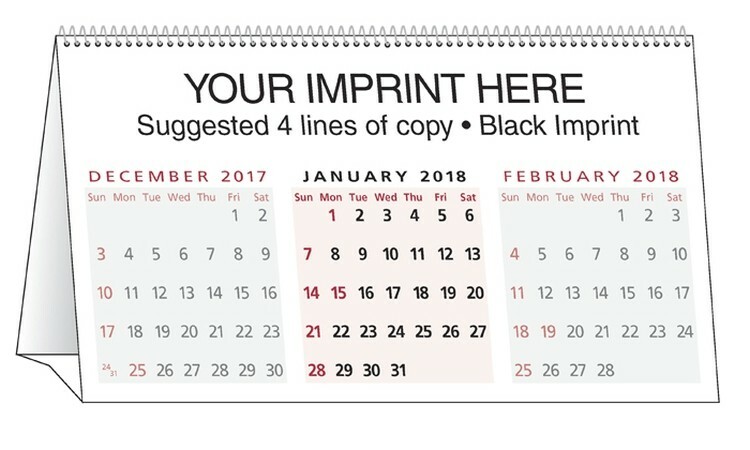 Everybody loves a new calendar, especially during the holiday season. The sky’s the limit when it comes to custom options. For example, you may choose to add attractive brass corners, a convenient business card holder, or even a handy telephone/address book. 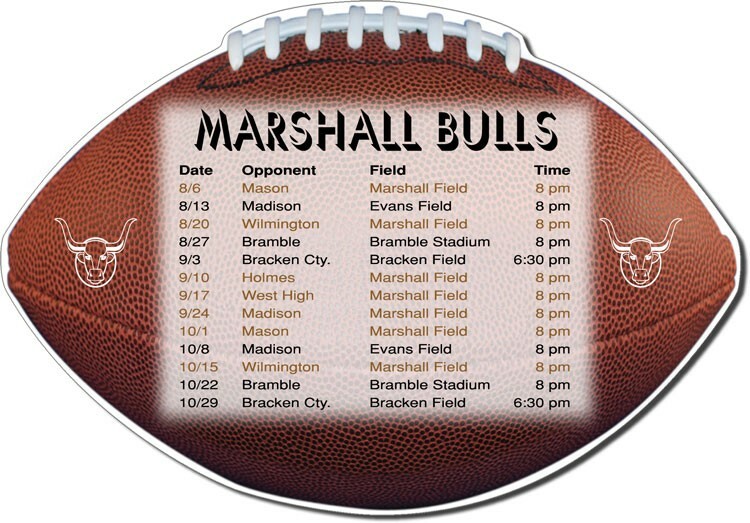 As always, it’s easy to personalize with company logo and sales message. 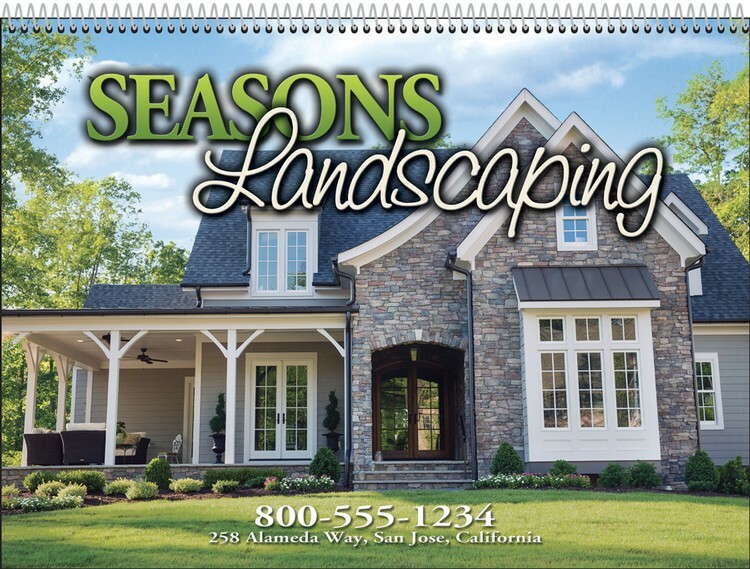 We make the ordinary pocket planner–– extraordinary! 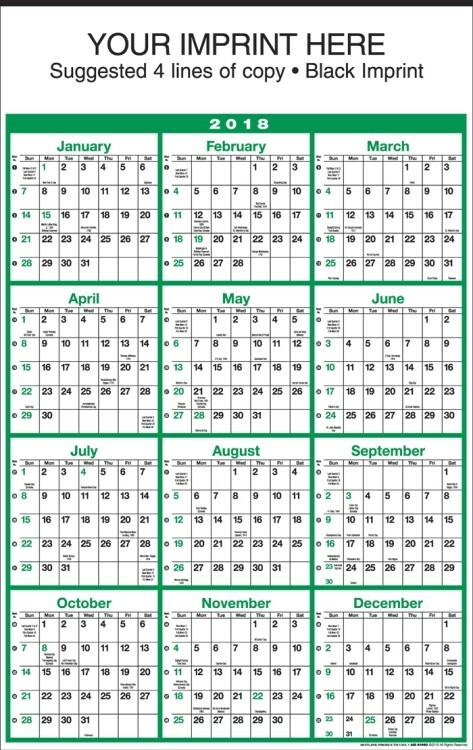 This delightful tent calendar is fully plantable to ensure that you are in your client's thoughts all year long. 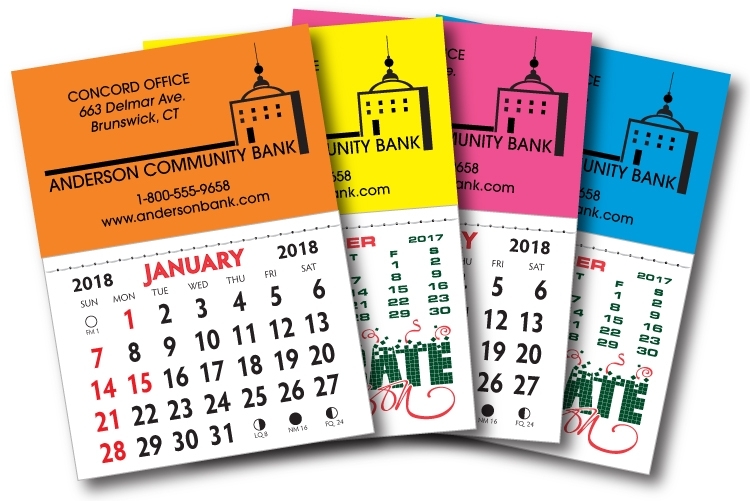 Calendar is printed with six months per side with a 4-color process. Use our professional designs below or come up with your own. 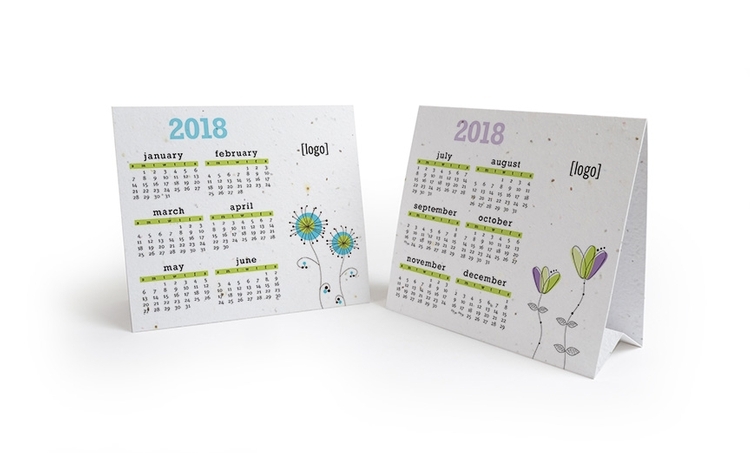 Printed on seed paper with Earth-friendly inks that won't damage the seeds. 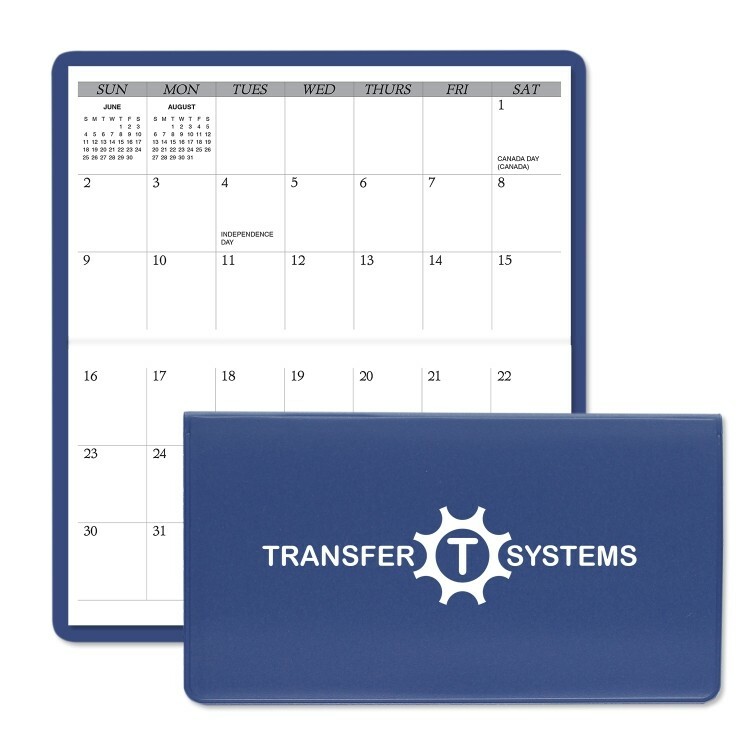 CustomLine IV custom calendar with your 12 or 13 digital photos in full-color, minimum size 10 1/2" x 8 1/2" and standard 2-color calendar pad. Spiral bound included. 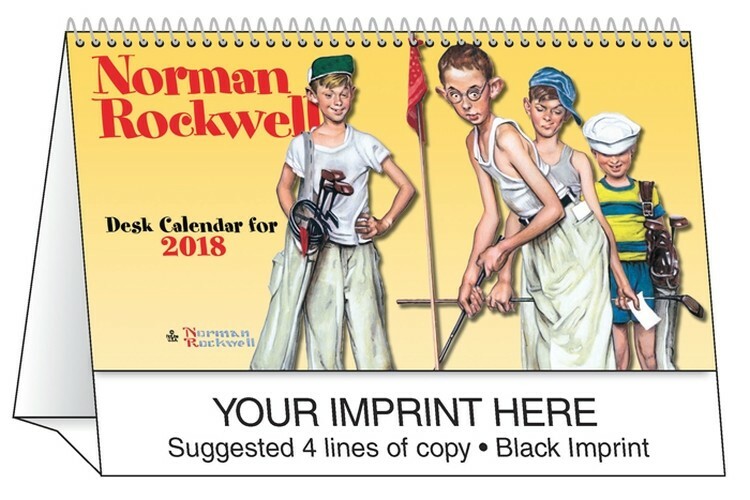 Calendar size: 10 7/8" x 8" closed; 10 7/8" x 16" open. 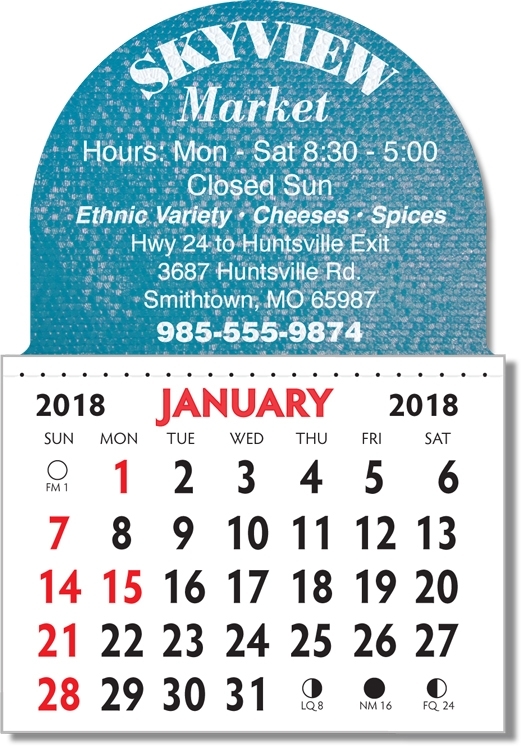 Customized all twelve pictures and cover in full-color with a 2-color calendar pad. 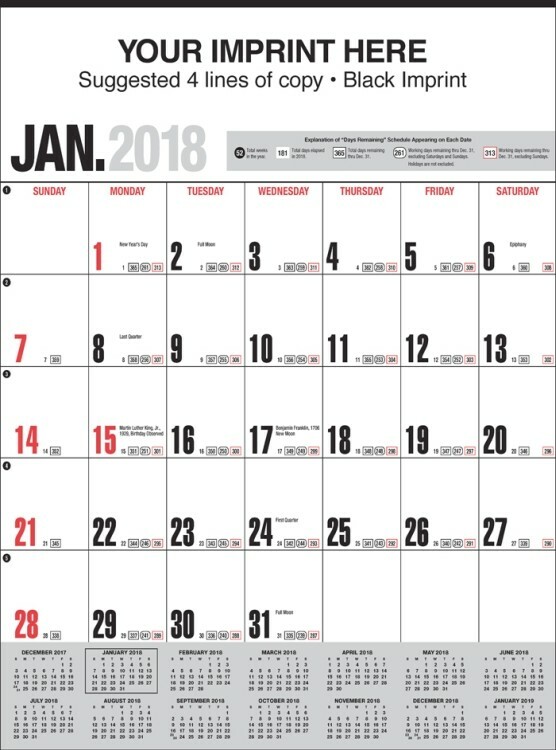 Add variable data to use your custom calendar as a raffle/fundraiser idea. Call the custom dept for more information. 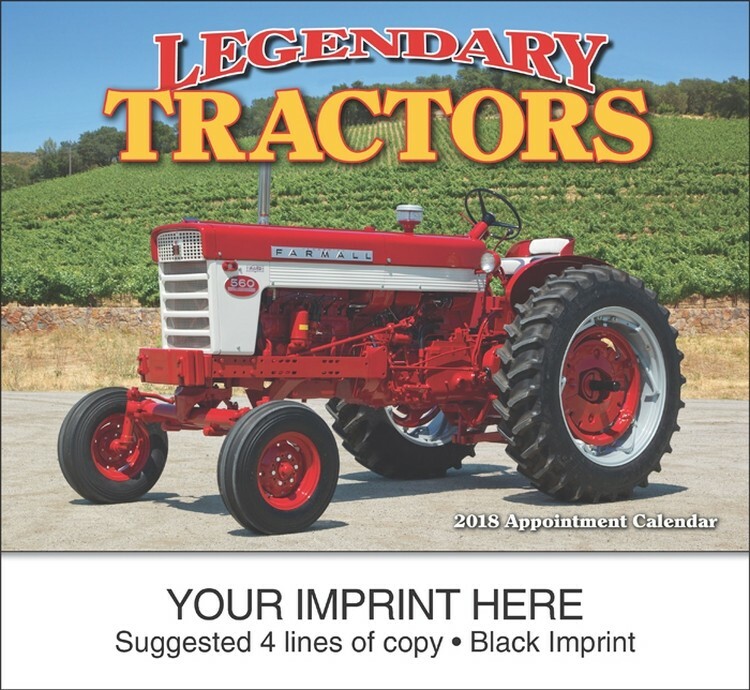 Promote your brand in a timely fashion! This digital auto-update desk clock is bound to stand out in any office. 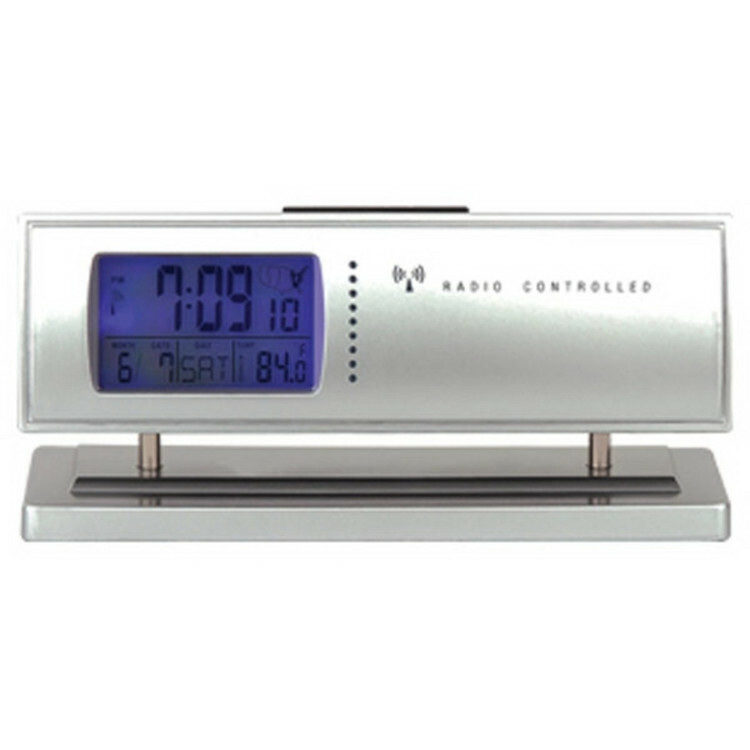 Measuring 6 1/8" x 2 7/8" x 1 7/8", this sleek silver clock auto synchronizes to official U.S. time and date and includes an alarm, thermometer, LED backlight and 4 time zone display. 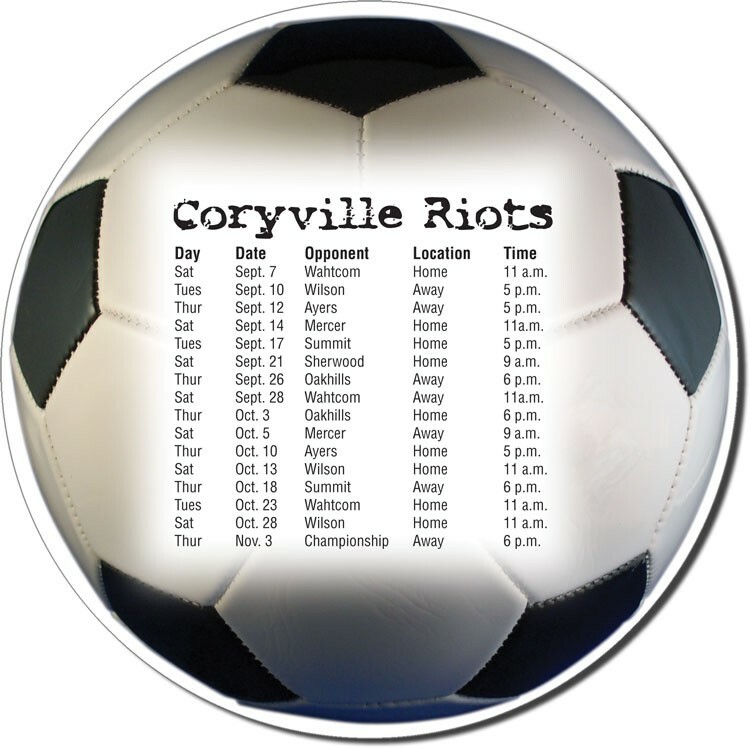 Have your company name or logo printed on the surface for a customized keepsake that will be utilized daily. Don't wait another second - invest today!